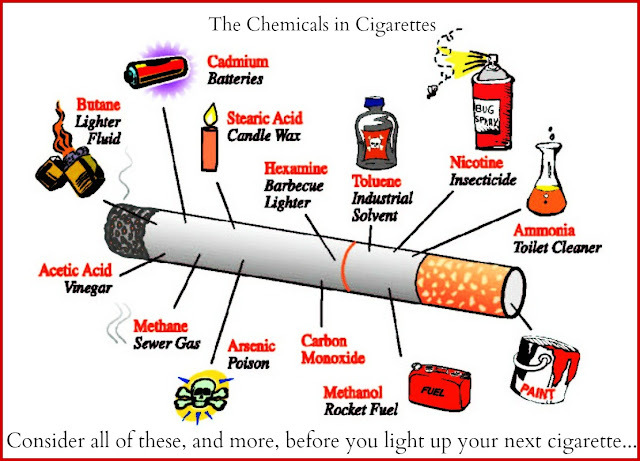 Smoking Kills - YOU NEED TO READ THIS! 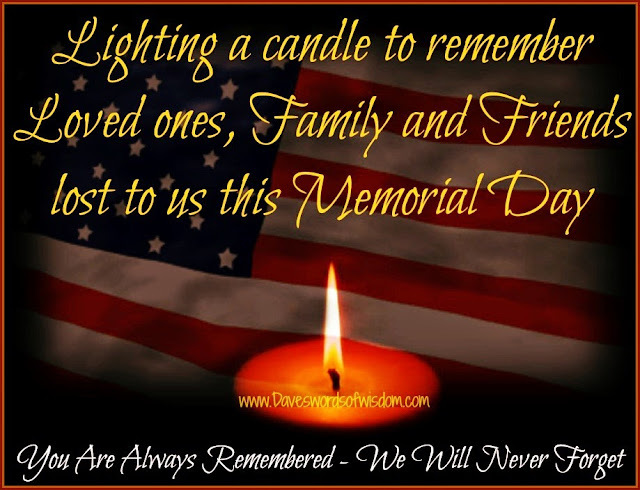 Memorial Day Candle ~ Remember the fallen. 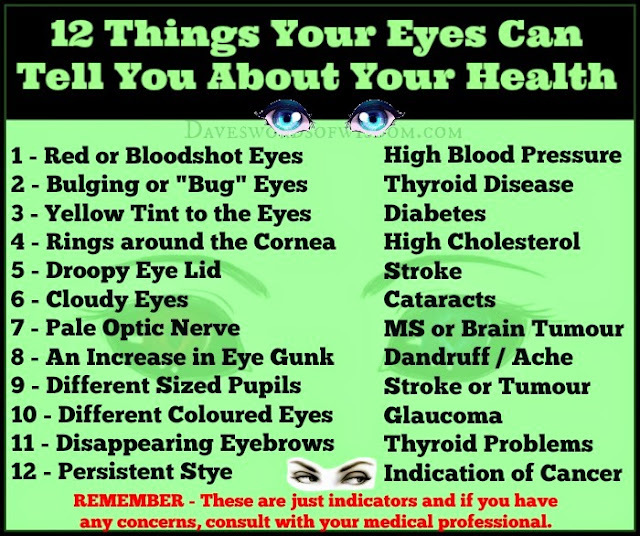 12 things your eyes could say about your health. When we look someone in the eye, we may not be able to tell if they are lying to us or keeping things from us, however we can discover indications of Liver Disease, High Cholesterol or even the onset of Diabetes. 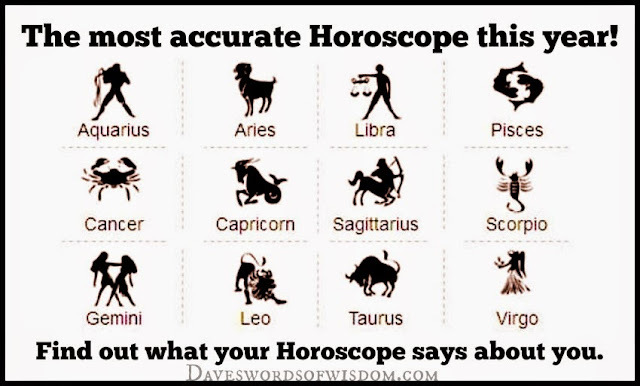 This chart gives you an indication of things to look for and I need to stress "POSSIBLE" indications. Remember - These are just indicators and if you have any concerns, consult with your medical professional. 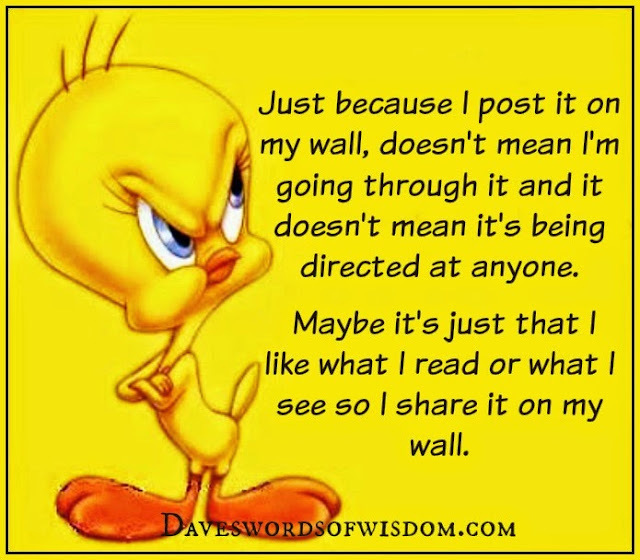 Please share this article on your wall to help spread this information. Thank You. 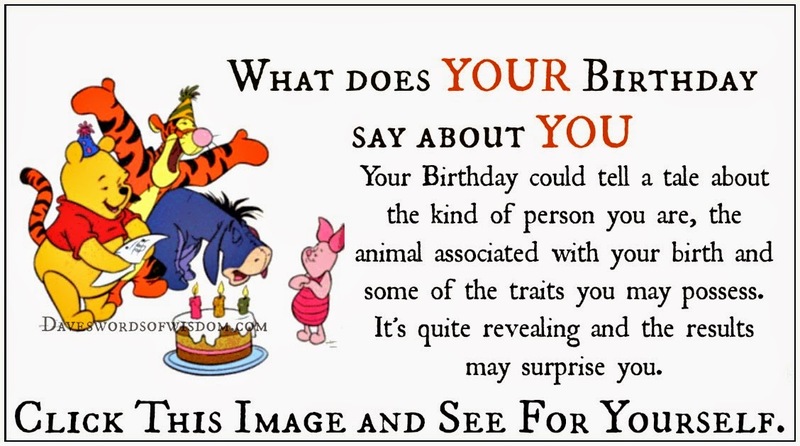 What Does Your Birthday Say About YOU. Your Birthday may tell a tale about the kind of person you are, the animal associated with your birth month and some traits you may possess. 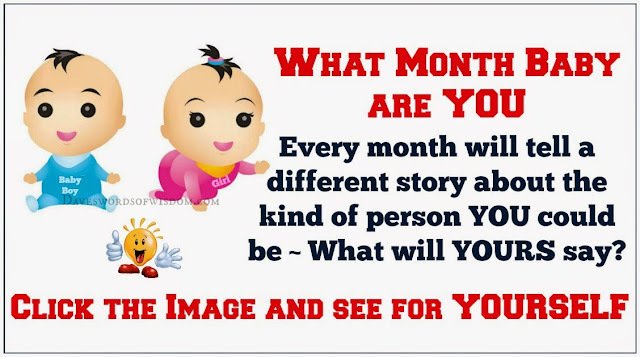 It's quite revealing and the results may surprise you. 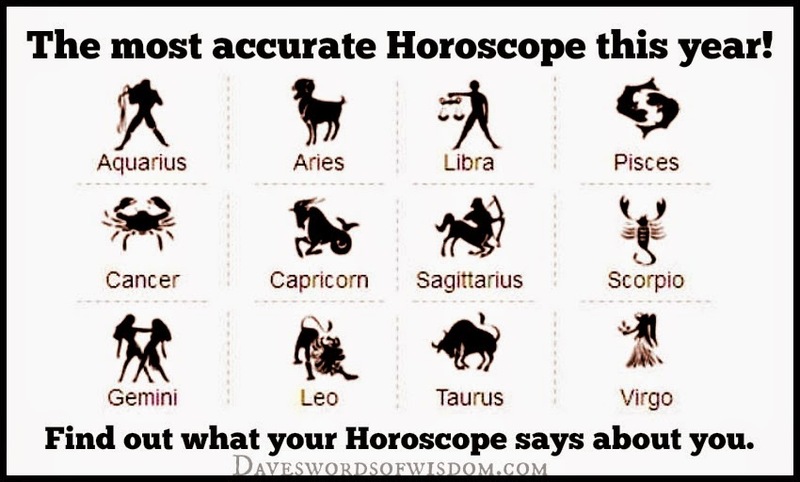 Always say exactly what you mean. and say exactly what you mean. 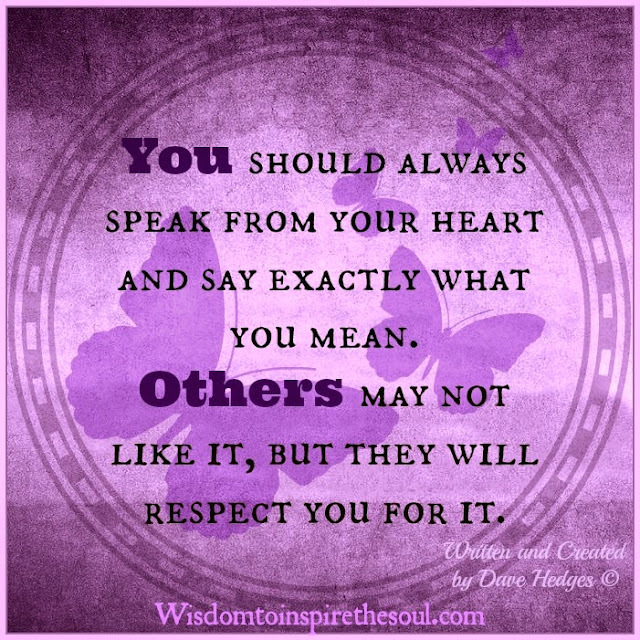 Others may not like it, but they will respect you for it. 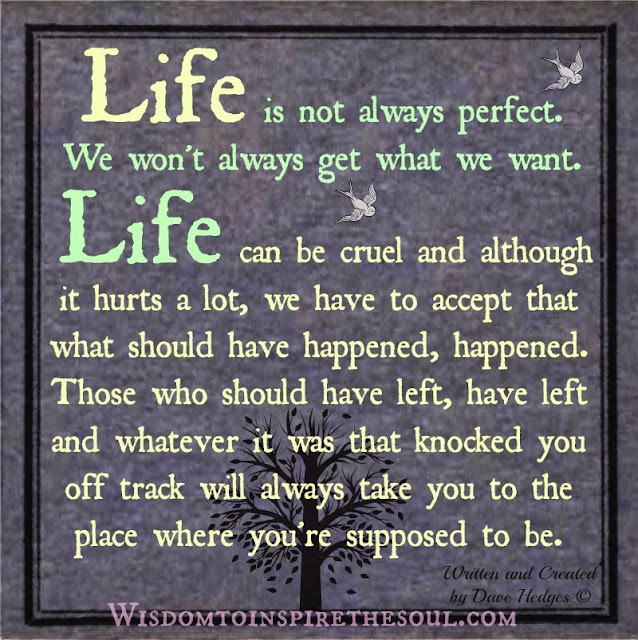 Life is not always perfect. 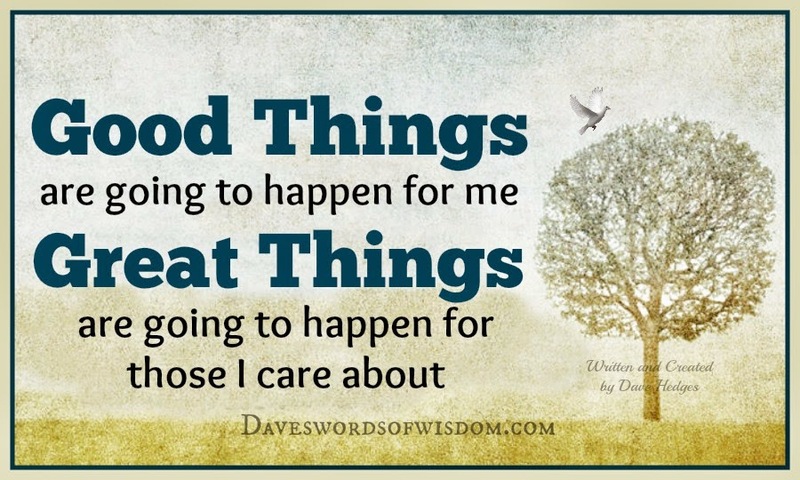 We won't always get what we want. Life can be cruel and although it hurts a lot, we have to accept that what should have happened, happened. Those who should have left, have left and whatever it was that knocked you off track will always take you to the place where you're supposed to be. Respect yourself enough to walk away from anything that no longer serves you, helps you or makes you happy. 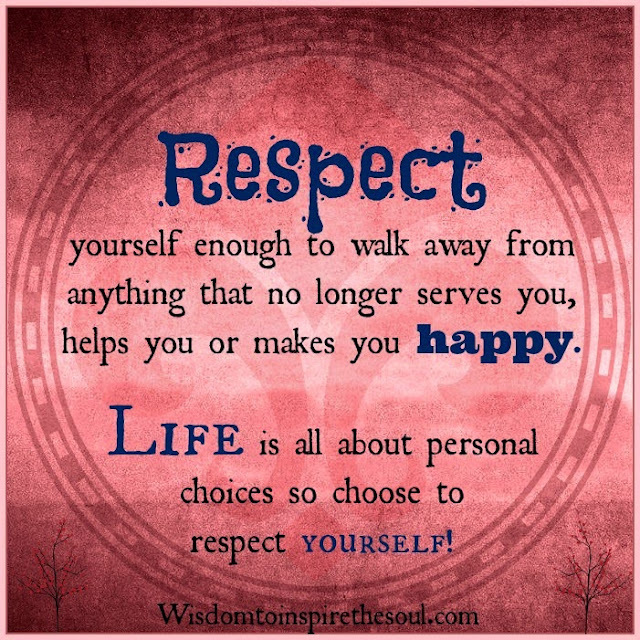 Life is all about personal choices so choose to respect yourself! Don't let negative people hold you back. 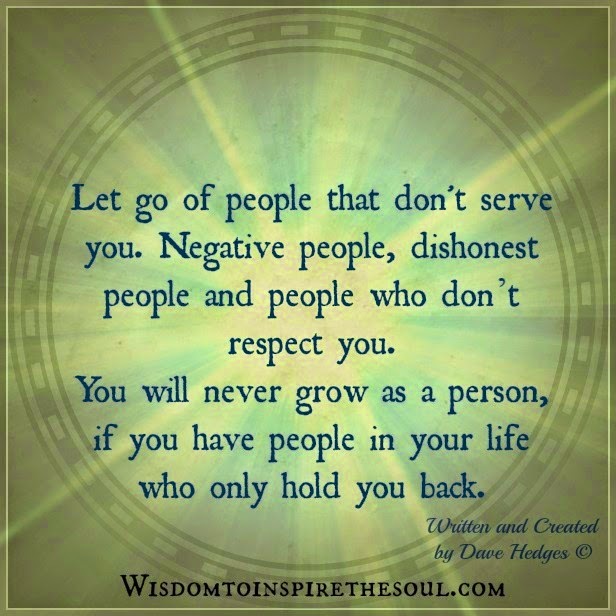 Let go of people that don't serve you. 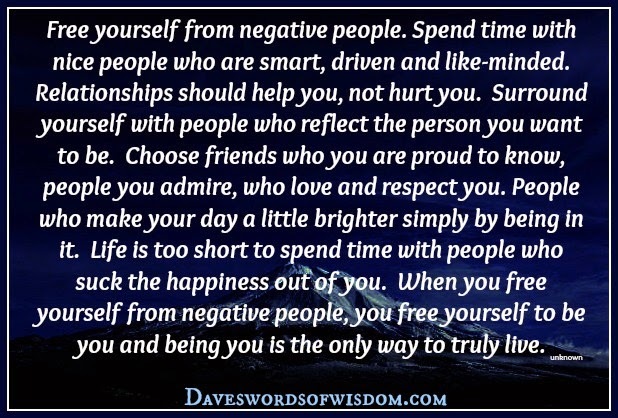 Negative people, dishonest people and people who don't respect you. You will never grow as a person, if you have people in your life who only hold you back. 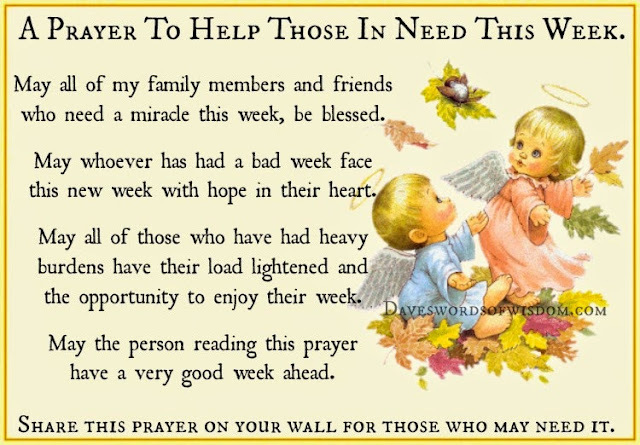 A Prayer To Help Those in Need This Week. 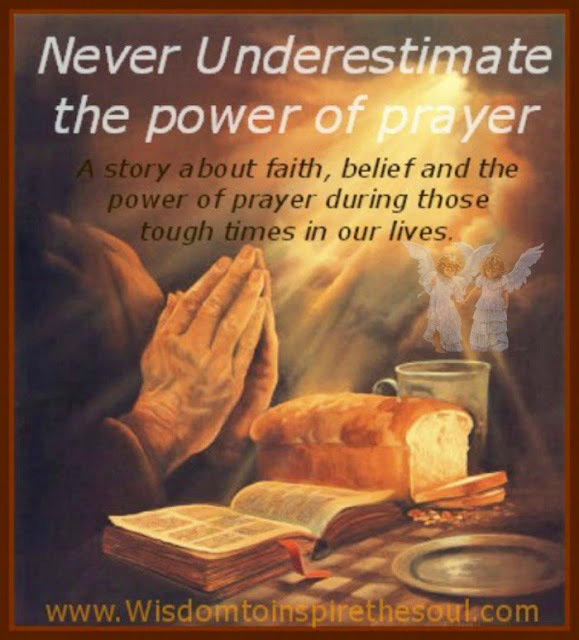 a miracle this week, be blessed. 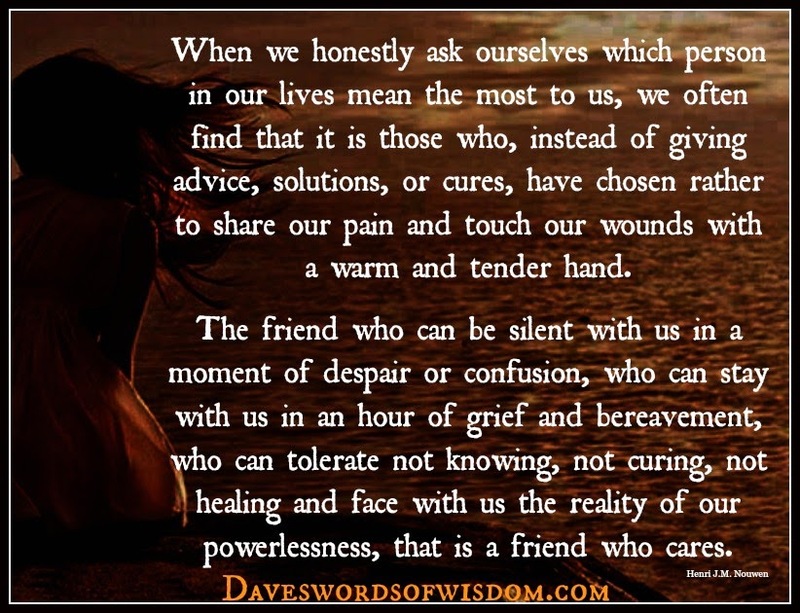 with hope in their heart. 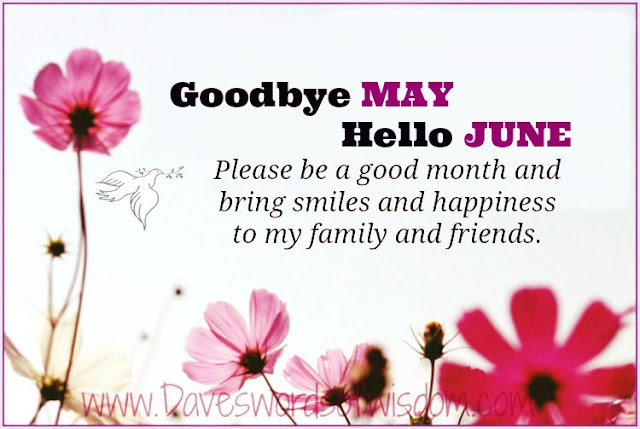 May all of those who have had heavy burdens have their load lightened and the opportunity to enjoy their week. May the person reading this prayer have a very good week ahead. Your loss has been so hard to bear and I miss you so much. 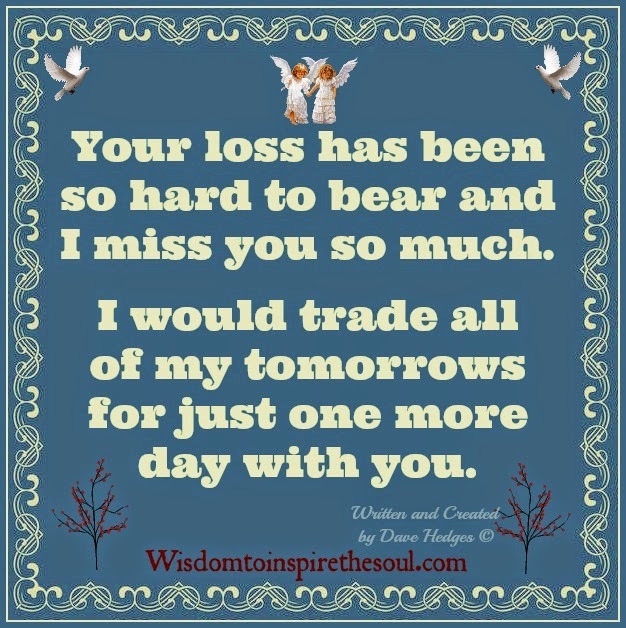 I would trade all of my tomorrows for just one more day with you. Monday comes around too fast. 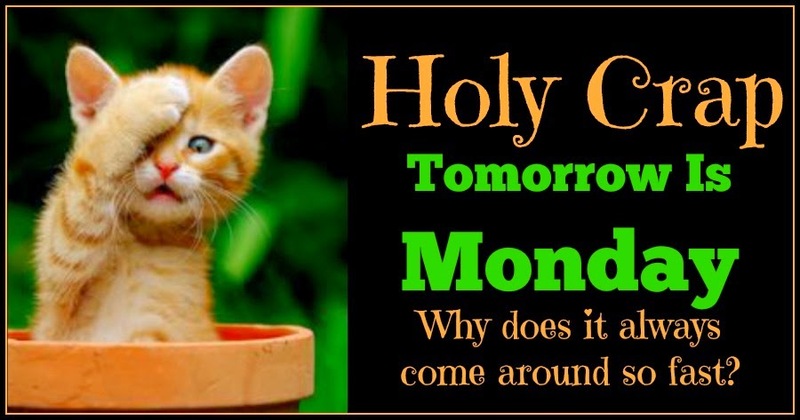 Holy Crap - Tomorrow Is Monday. Why does it always come around so fast? 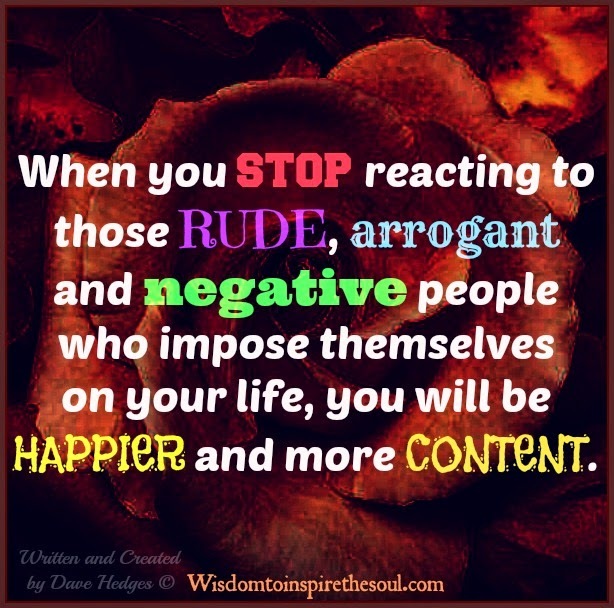 Ignore the rude, arrogant & negative people. 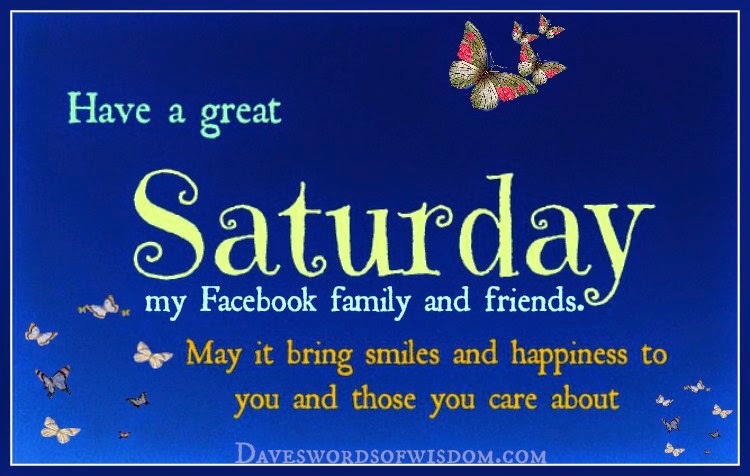 When you stop reacting to those rude, arrogant and negative people who impose themselves on your life, you will be happier and more content. 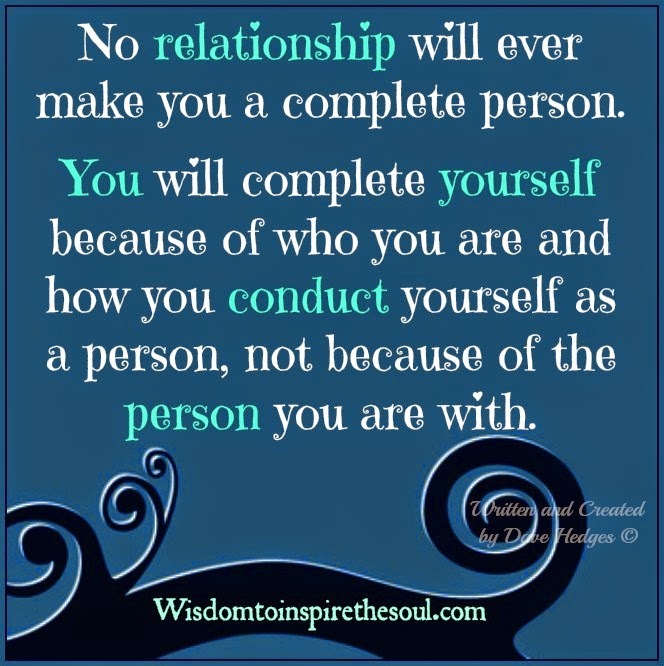 No relationship will ever make you a complete person. You will complete yourself because of who you are and how you conduct yourself as a person, not because of the person you are with. Everything you need in life. 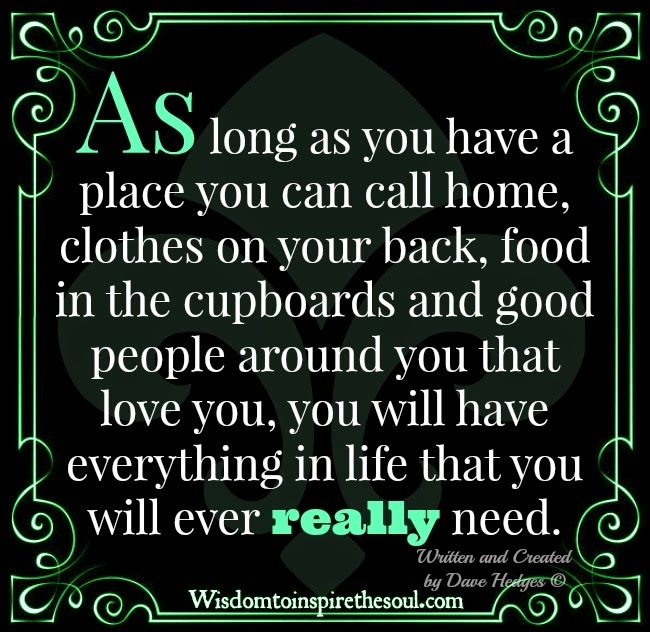 you will have everything in life that you will ever really need. 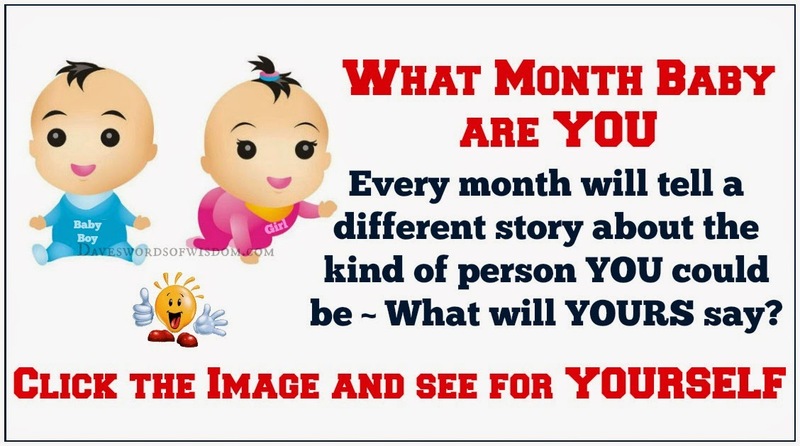 My birth month was about 95% correct - Amazing. Watch Over My Family & Friends. Dear Lord, All I ask from you is that you watch over my wonderful family and friends. Keep them healthy and safe. 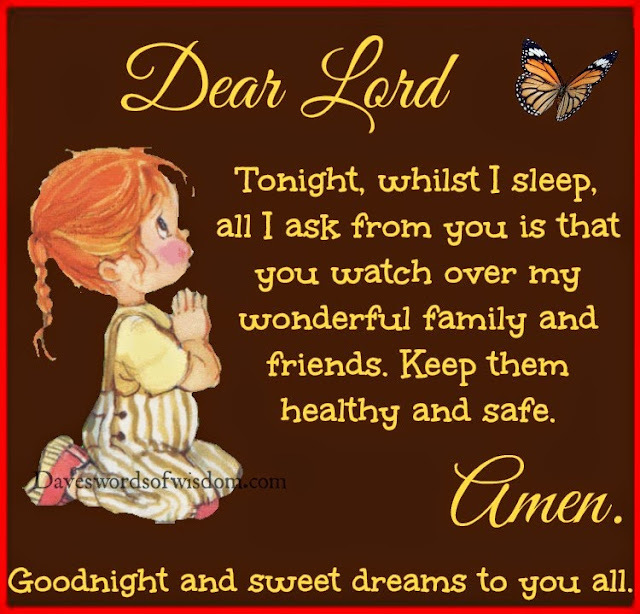 Goodnight and sweet dreams to all. 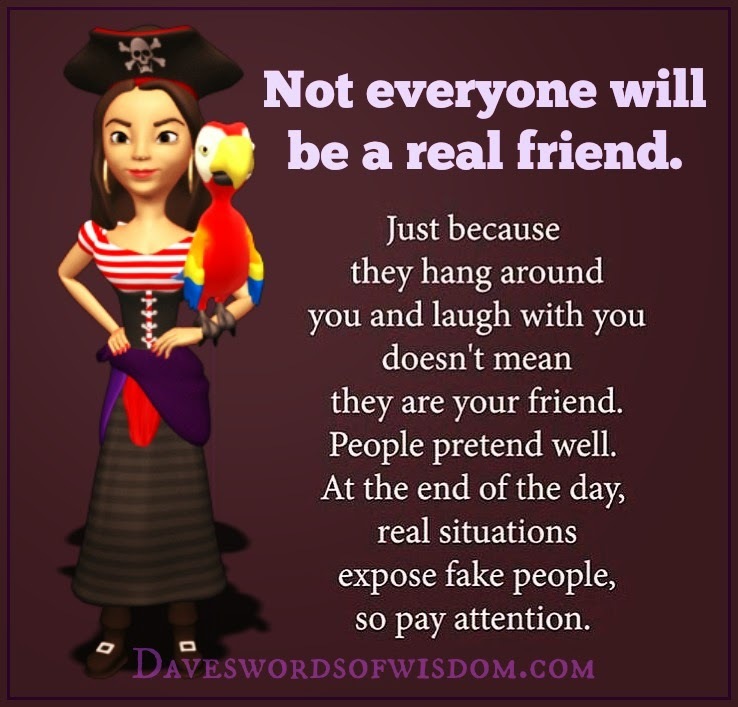 Not everyone will be a real friend. 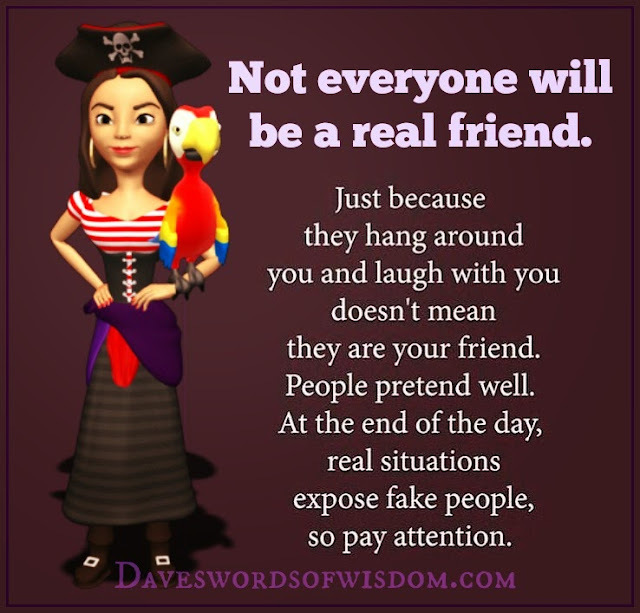 Just because they hang around with you and laugh with you, doesn't mean they are your friend. 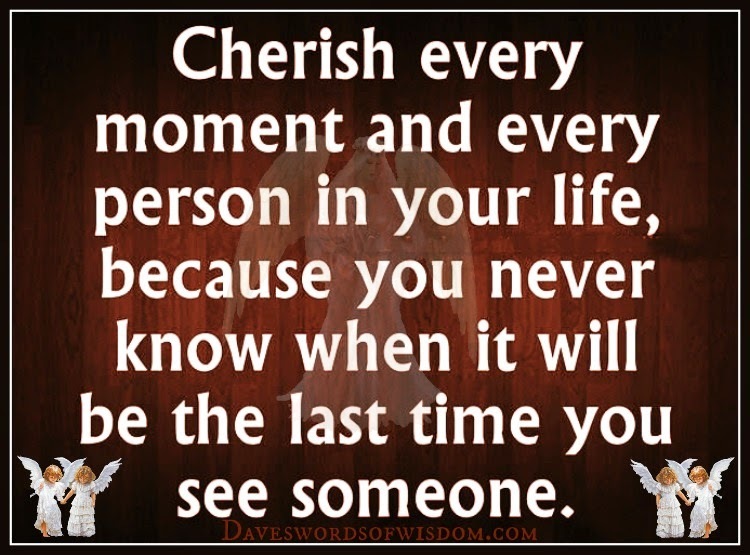 Cherish every moment and every person in your life, because you never know when it will be the last time you see someone. 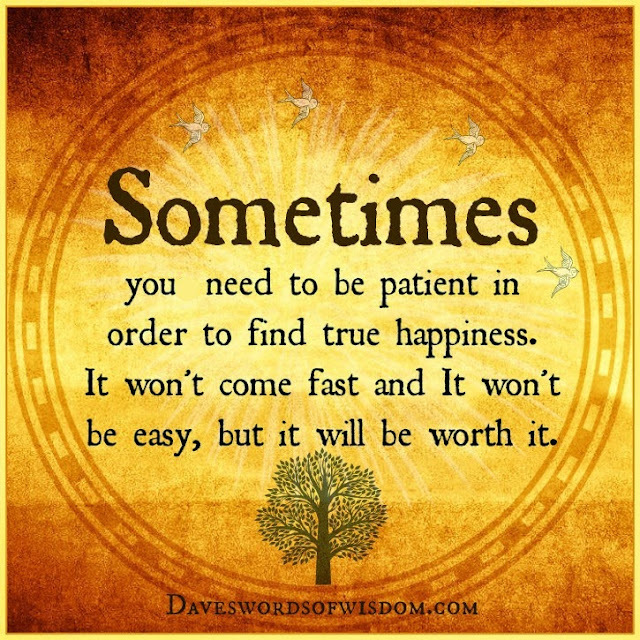 Sometimes you need to be patient in order to find true happiness. It won't come fast and it won't be easy, but it will be worth it. Sometimes walking away has nothing to do with weakness, and everything to do with strength. 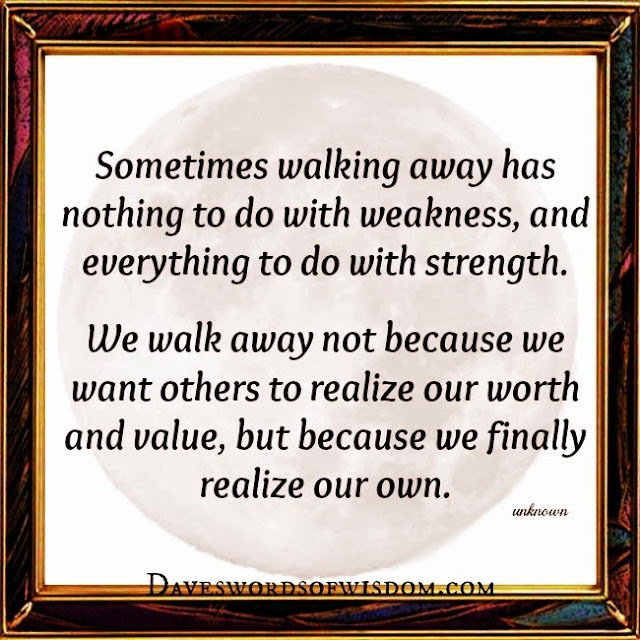 We walk away not because we want others to realize our worth and value, but because we finally realize our own. 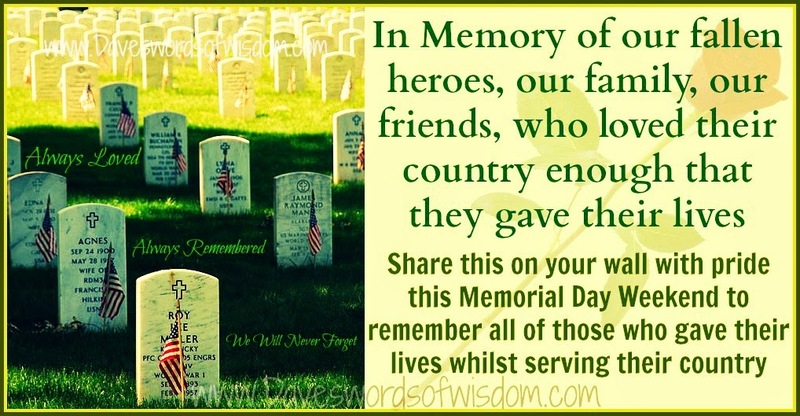 Those who mean the most to us. The friend who can be silent with us in a moment of despair or confusion, who can stay with us in an hour of grief and bereavement, who can tolerate not knowing, not curing not healing and face us with the reality of our powerlessness, that is a friend who cares. 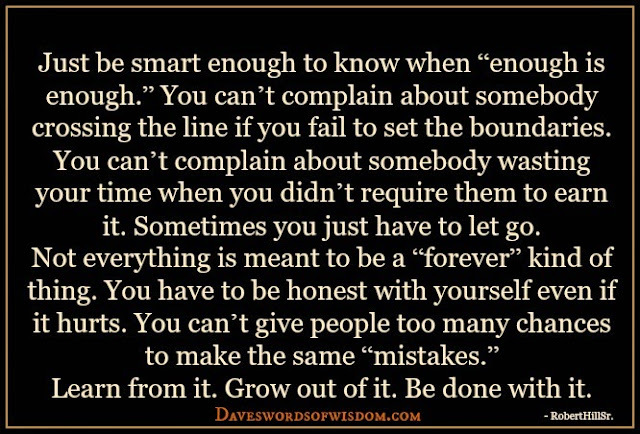 You can’t complain about somebody crossing the line if you fail to set the boundaries. 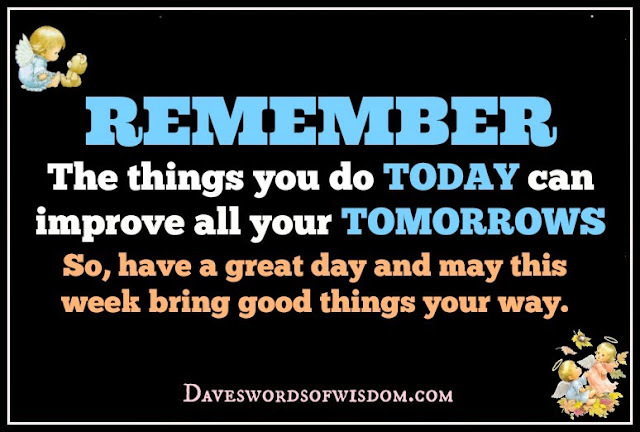 You can’t complain about somebody wasting your time when you didn't require them to earn it. 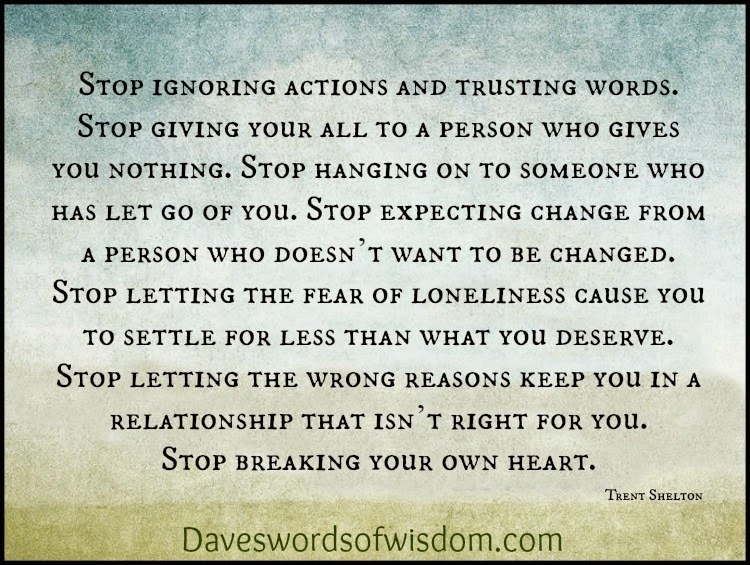 Sometimes you just have to let go. Not everything is meant to be a “forever” kind of thing. You have to be honest with yourself even if it hurts. You can’t give people too many chances to make the same “mistakes.” Learn from it. Grow out of it. Be done with it. 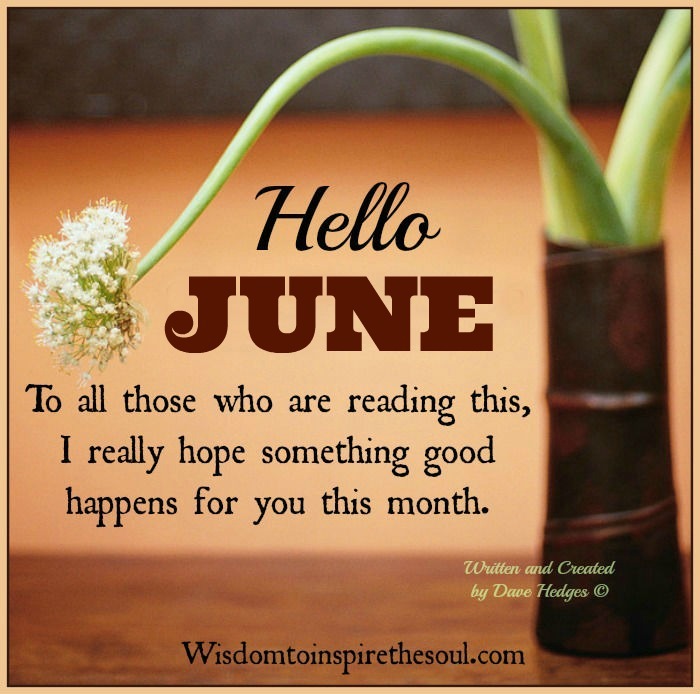 May This week Bring Good Things Your Way. The things you do today can improve all your tomorrows. So, have a great day and may this week bring good things your way. You'll regret what you've done to me. 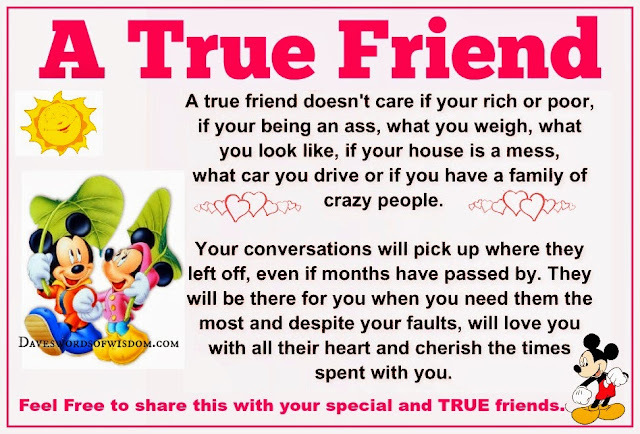 I hope one day you will realize I did truly care for you. I promise you, you’re going to miss me being there, putting up with you, and refusing to give up on you. 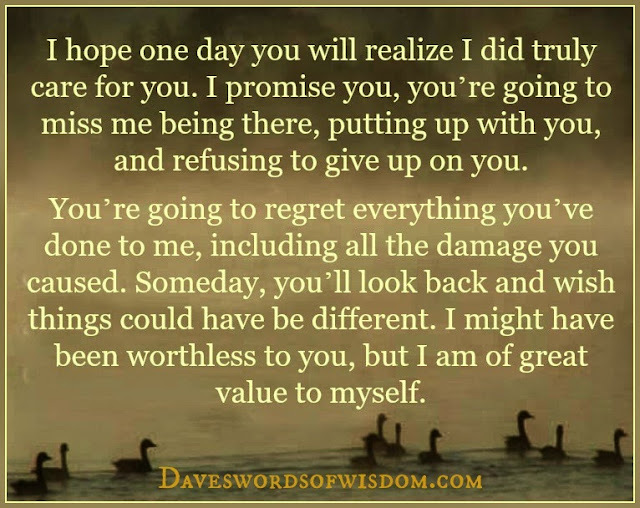 You’re going to regret everything you've done to me, including all the damage you caused. Someday, you’ll look back and wish things could have be different. I might have been worthless to you, but I am of great value to myself. 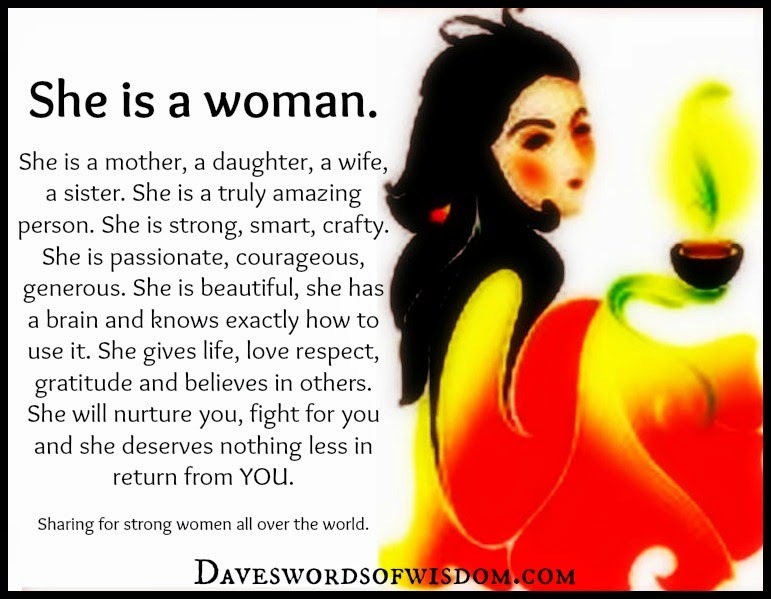 For Strong Women All Over The World. But when I looked into your eyes for the first time, I felt my heart grow and grow. 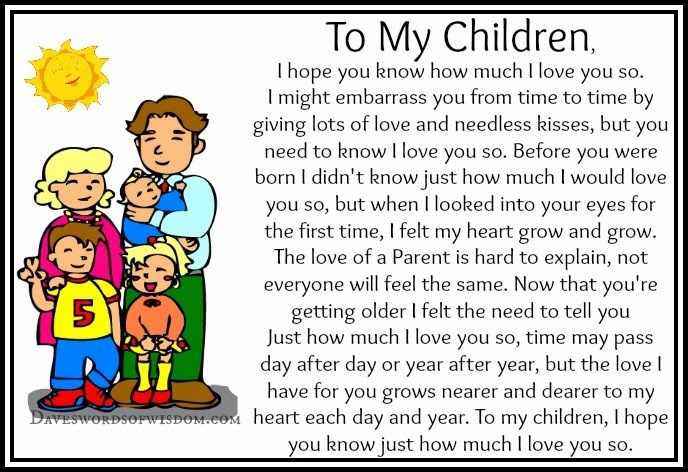 The love of a parent is hard to explain, not everyone will feel the same. Now that you are getting older I felt the need to tell you Just how much I love you so, time may pass day after day or year after year, But the love I have for you grows nearer and dearer to my heart each day and year. To My Children, I hope you know just how much I love you so. 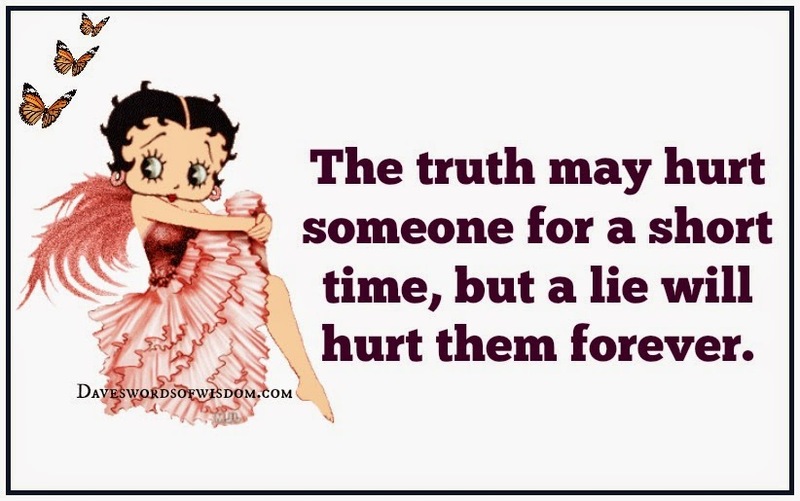 but a lie will hurt them forever. 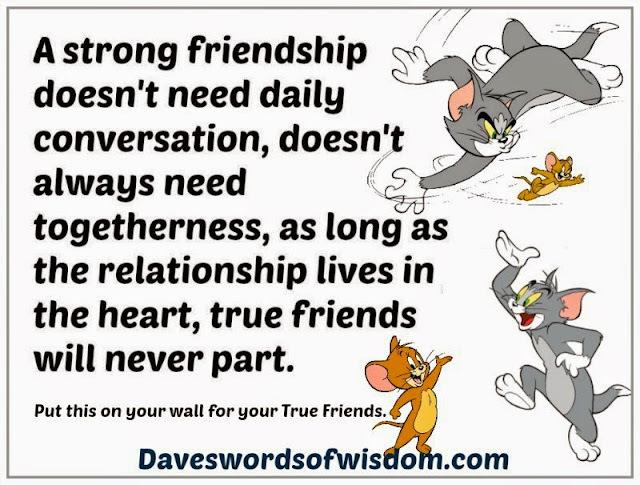 A strong friendship doesn't need daily conversation, doesn't always need togetherness, as long as the relationship lives in the heart, true friends will never part. are going to happen for me. are going to happen for those I care about. 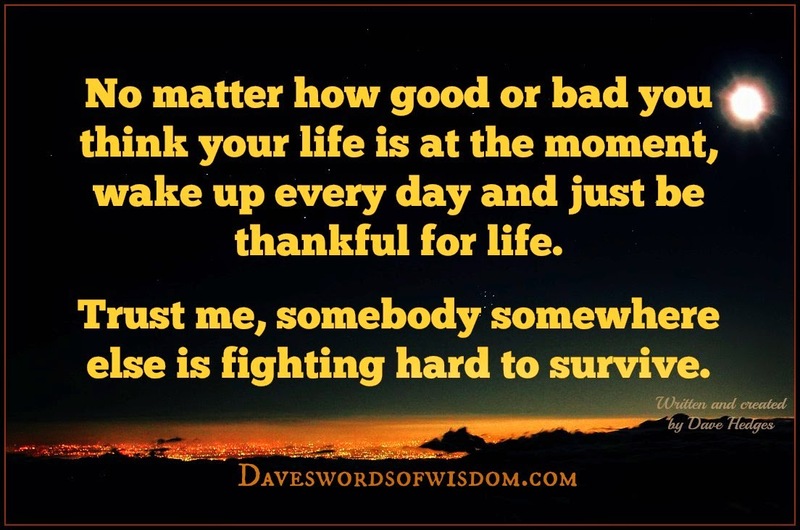 No matter how good or bad you think your life is at the moment, wake up every day and just be thankful for life..
Trust me, somebody somewhere else is fighting to survive. 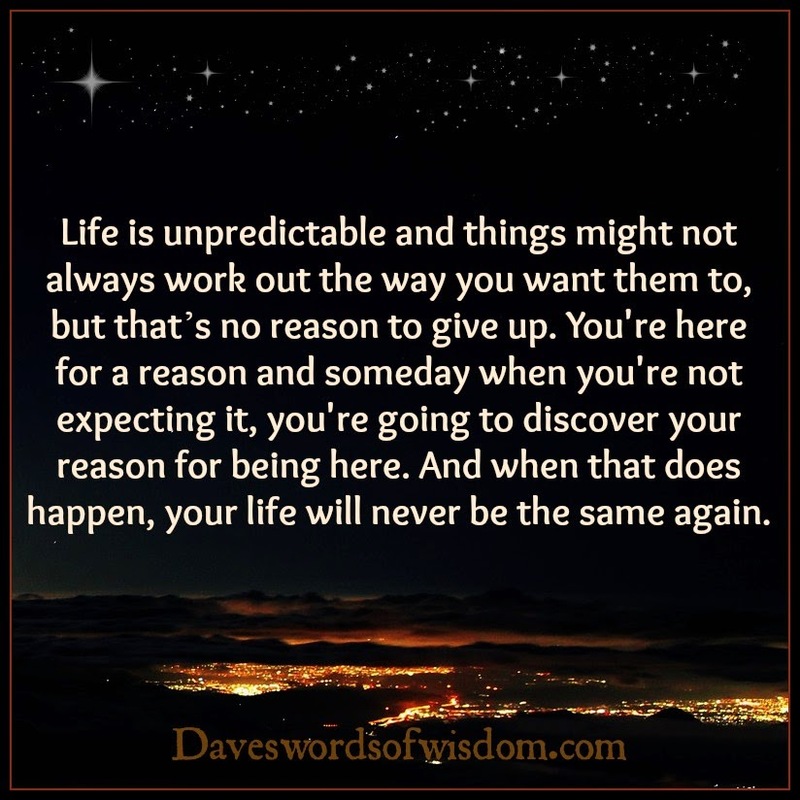 Life is unpredictable and things might not always work out the way you want them to, but that's no reason to give up. 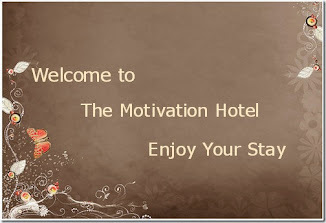 You're here for a reason and someday when you're not expecting it, you're going to discover your reason for being here. And when it does happen, your life will never be the same again. 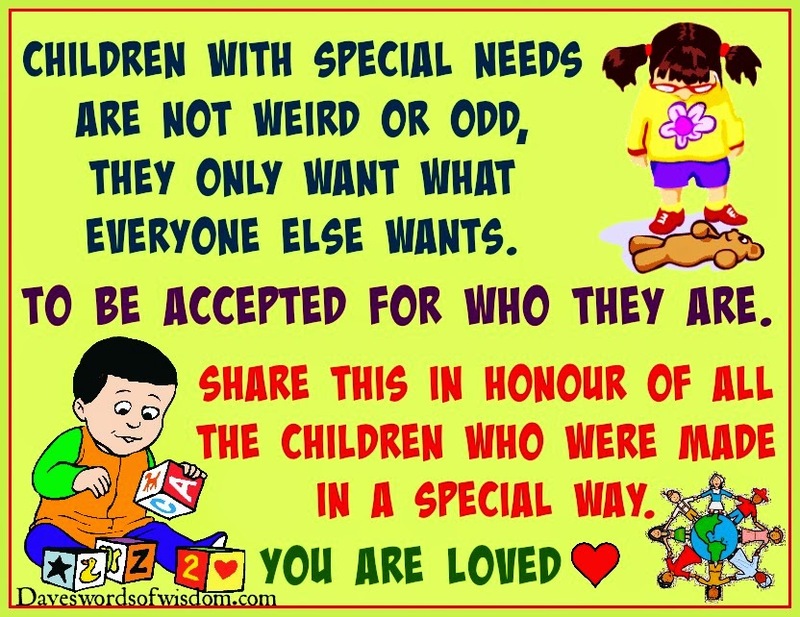 Children with special needs are not weird or odd. They only want what everyone else wants. To be accepted for who they are. Share this in honour of all the children who were made in a special way. You are loved. 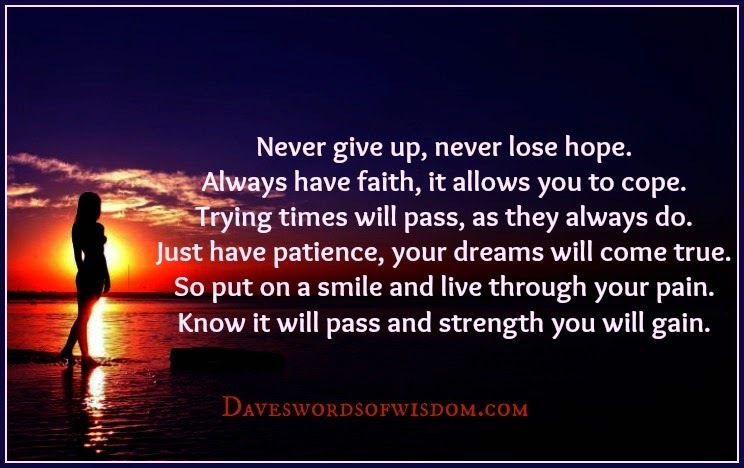 Every Struggle In Your Life. 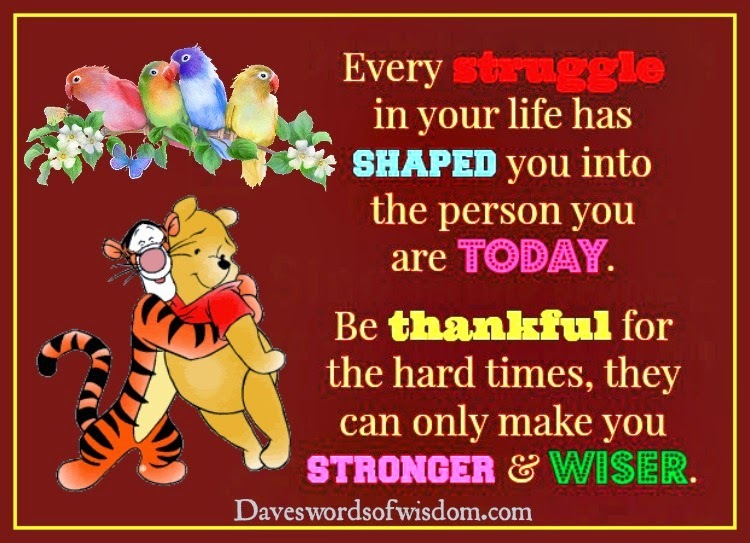 Every struggle in your life has shaped you into the person you are today. Be thankful for the hard times, they can only make you stronger and wiser. 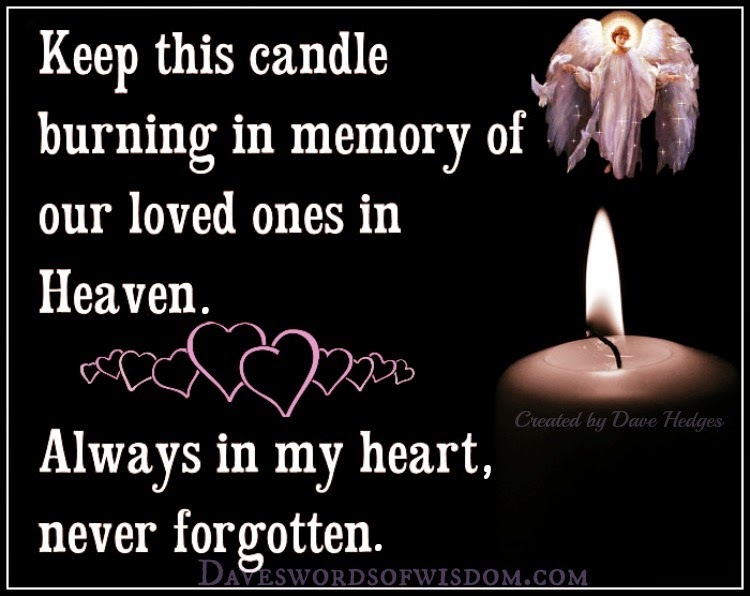 Our Loved Ones In Heaven. 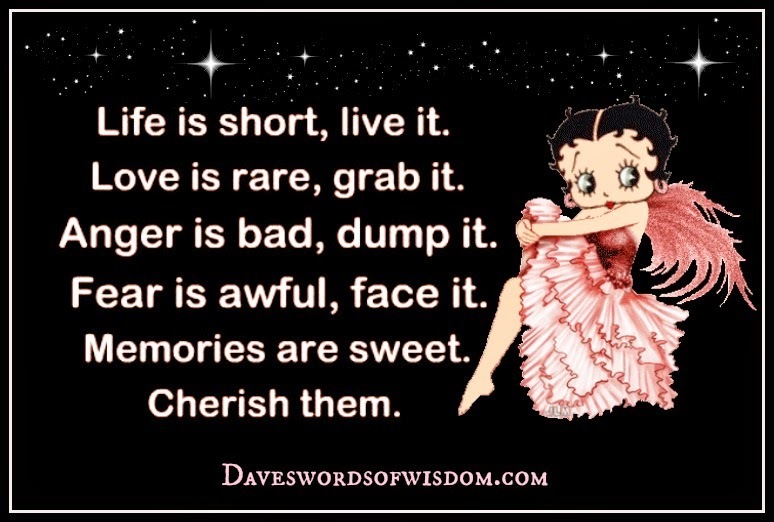 Life is short - Live It. Live if short, Live it. Love is rare, Grab it. Memories are sweet, Cherish them. I'm thankful for the struggles. 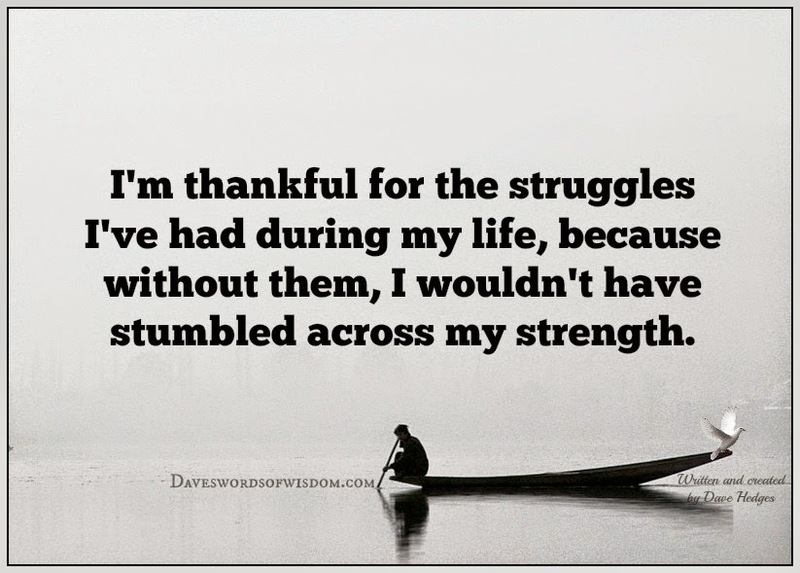 I'm thankful for the struggle I've had during my life, because without them, I wouldn't have stumbled across my strength. 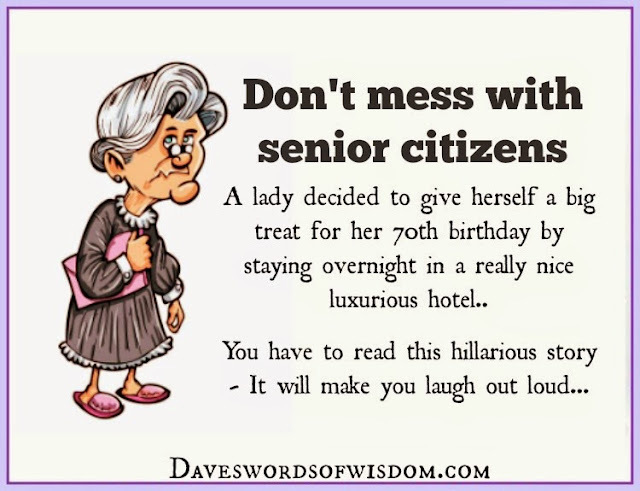 Don't wait - They may never change. 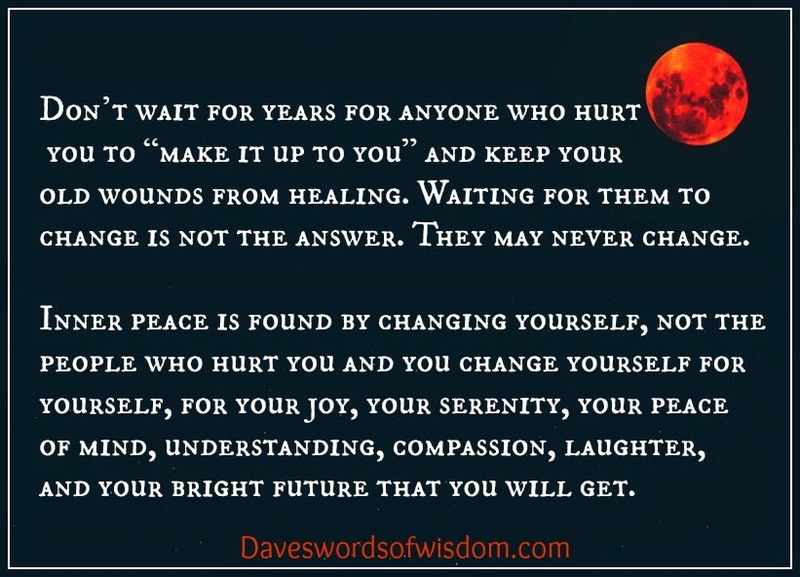 Don’t wait for years for anyone who hurt you to “make it up to you” and keep your old wounds from healing. 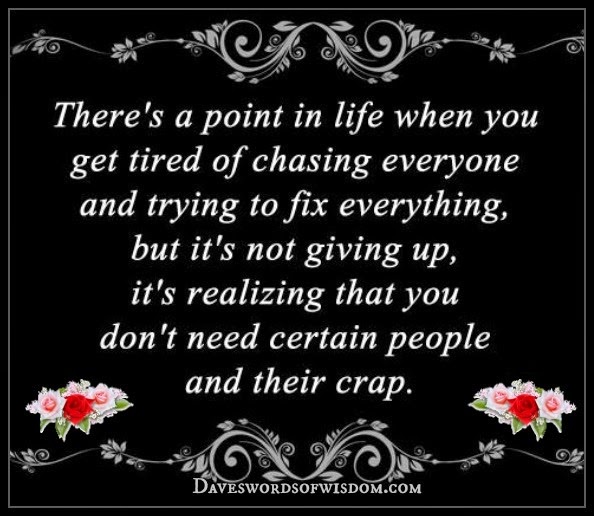 Waiting for them to change is not the answer. They may never change. 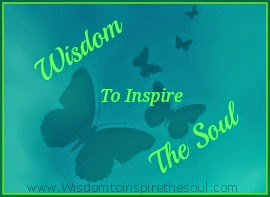 Inner peace is found by changing yourself, not the people who hurt you. And you change yourself for yourself, for your joy, your serenity, your peace of mind, understanding, compassion, laughter, and your bright future that you will get.